Singapore is a beautiful city and it is quickly expanding to accommodate a growing population. With that, there is a heightened demand for homes. 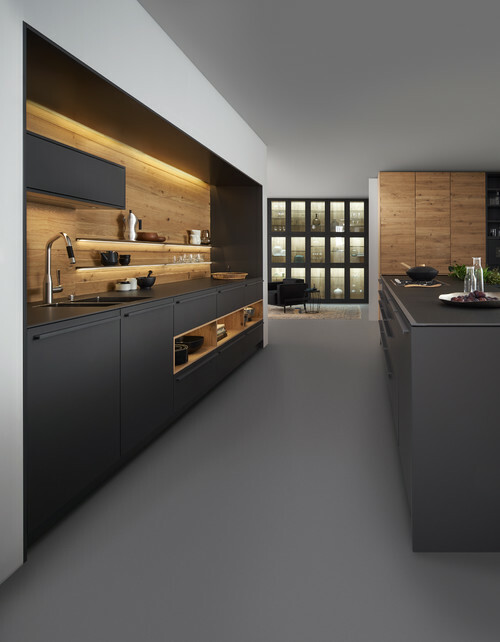 Whether you are looking to buy or rent, consider investing in one of the following kitchen ideas, to inspire and elevate your property to the next level. Proudly handpicked and complied by Carpenter Singapore. 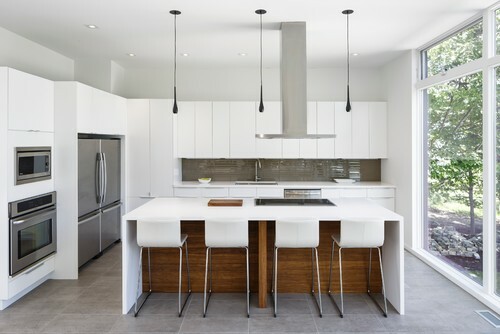 Light and airy, this beautiful and sleek kitchen combines minimalism with utilitarianism. A silver and white colour palette means the design can suit every house and budget! 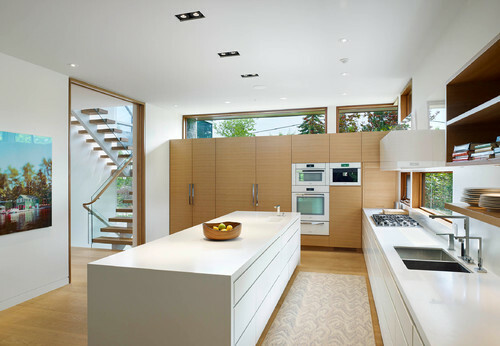 The stark contrast of white and wood are reminiscent of the best 60s design, without being over the top. Well matched accessories and polished surfaces round out the look, creating a space that is inviting and impressive but still relatively low maintenance. 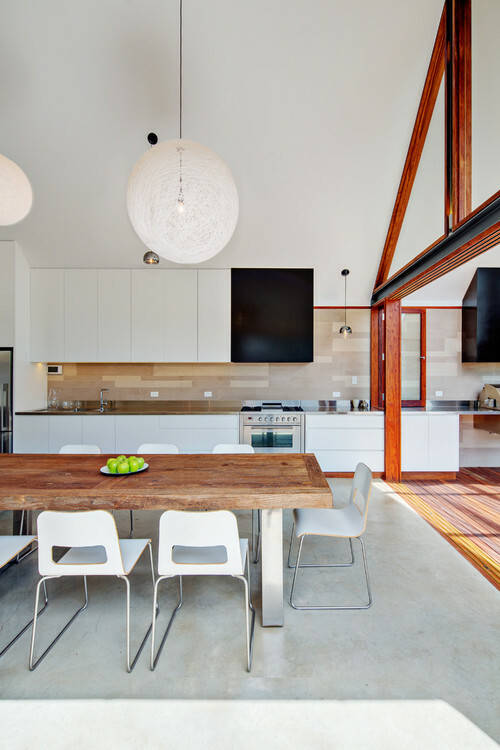 The extensive use of glass in this kitchen provides plenty of natural light to better illuminate the space and give a natural feel. Surfaces gleam and reflect the beautiful ceiling lamps, to create the illusion of an even larger space. 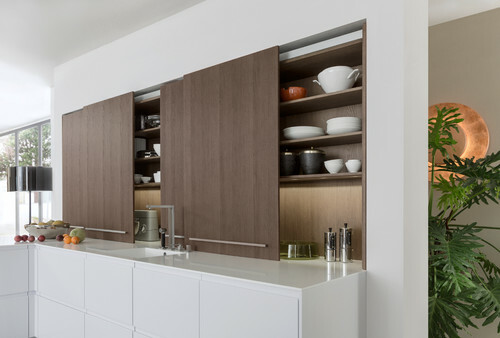 Ultra-modern and chic, this kitchen makes use of small space to provide a truly unique cooking environment. A featured island with pull-out bar stools creates a great place to sit, relax, eat or prepare food, without using an excessive amount of square meterage. 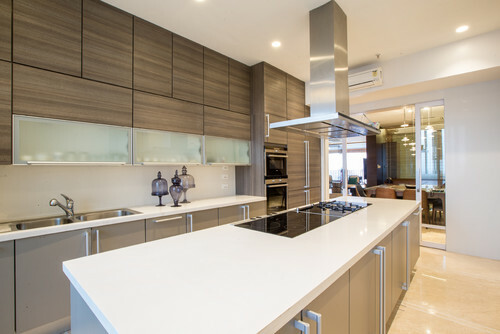 This kitchen is perfect for an environment like Singapore, where space comes with a premium price tag! 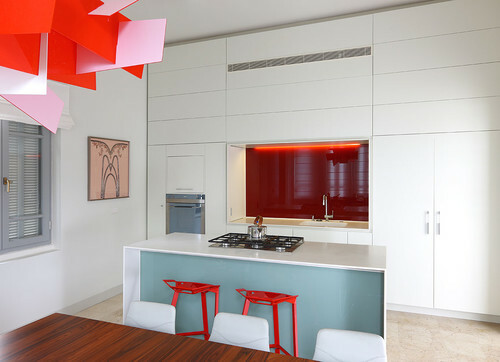 Exposed ceiling lights and excellent use of colour contrast – this kitchen is a modernist’s dream! Prepare your meals at the expansive bench to the rear of the room, or utilise the large floating island – there is plenty of space to prepare all your tasty food. 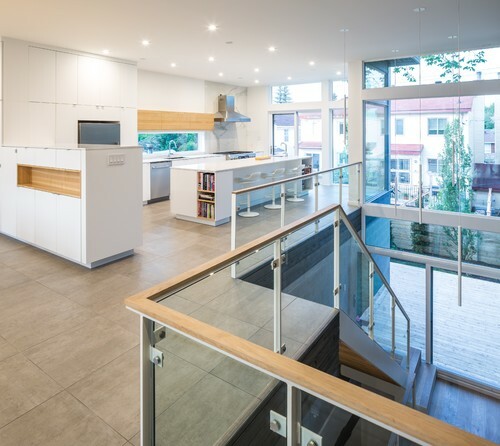 The amount of floor space means this type of design may be tricky for some smaller Singaporean homes, but it is certainly worth considering as an option if you can swing the space. The ultimate in minimalist luxury! Black, white and grey combine for a truly magical space which is easy enough to keep clean while still being impressive to the eye. Contrary to many of the entries on this list, this kitchen utilises pops of red and pink to create intrigue and increase space. White benches and hardware nicely contrast the interesting ceiling lamp and colourful wall art. New York luxury abounds in this tiled, tailored kitchen. 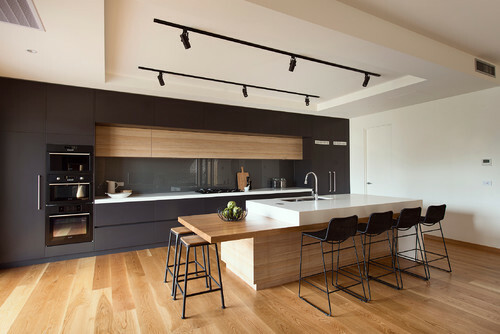 Modern and sleek in design, this kitchen is reminiscent of old-school luxury with marble accents, but the charcoal colour palette brings it firmly into the 21st century. 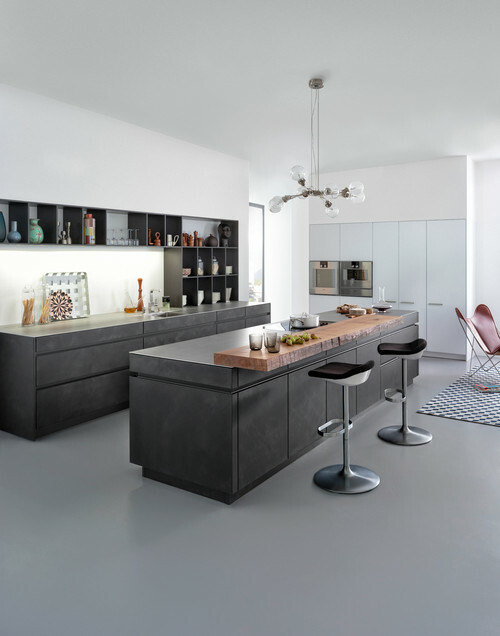 Not many people associate concrete with ultra modern luxury – but this kitchen shows exactly how this can work. 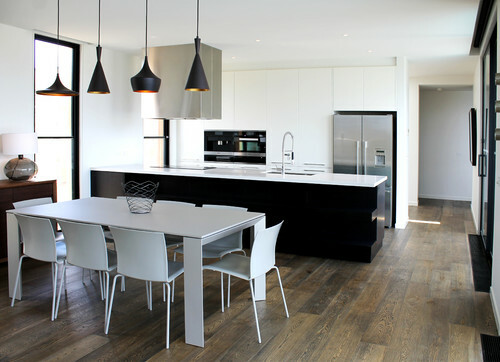 Grey concrete and wooden accents equal the perfect kitchen space. Echoing the thatched cottage feel, this bright and light kitchen combines the best of small home living with luxury and spacious feel. 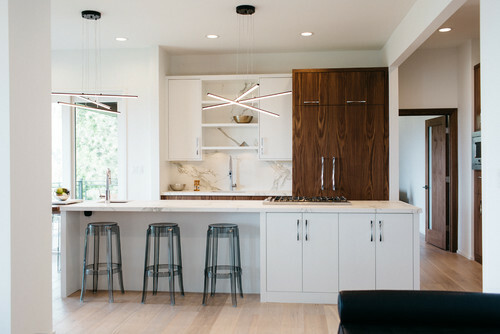 Nicely accented lamps tie the whole room together, echoing sparkling benchtops. A proper throwback to the ’60s, tonal turquoise walls set this kitchen apart from others on the list. Retro without being over the top, this kitchen is the perfect accent to an otherwise unremarkable home. Large, breezy and practical – the perfect kitchen for a family home! 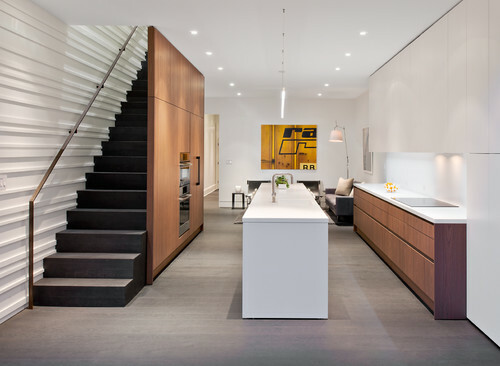 Sleek benches and fresh accents keep this space interesting without being overly “busy”. This kitchen oozes family charm and utilitarianism. Just as suitable for whipping up a large family dinner as it is for an intimate date night – this eating space is a true all-round masterpiece. 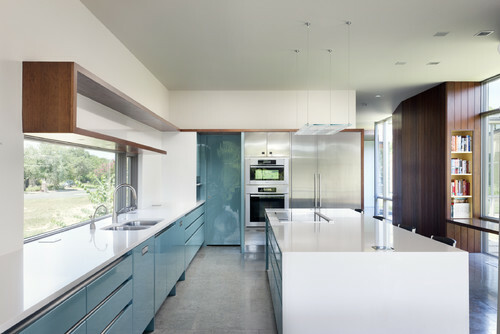 Beautiful modern designs offset this kitchen from what would otherwise be relatively ordinary. A large sink and island create the illusion of more space, while still feeling like the sort of place lovely food is prepared daily. Small accents of colour stand this kitchen out from the rest of the pack, including immaculately designed benchtops and a large hob which can accommodate multiple meals on the go at once. Black, white and grey – sometimes boring, but in this case simply tasteful and understated. 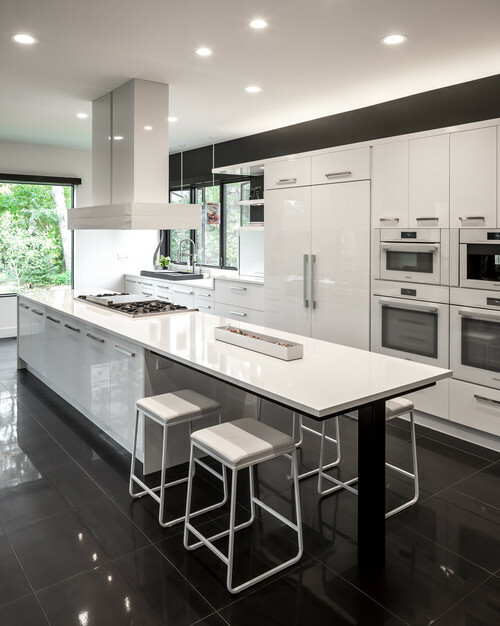 This kitchen belongs in an ultramodern apartment – and creates window views second to none! Large oven, expansive stovetop, plenty of space for the blender, coffee machine, breadmaker…. for the serious “foodie”, this kitchen is a must-have! Even at first glance, it’s easy to see that this kitchen is a place of love and sharing. In stark contrast to some of the sterile looking kitchens on this list, this particular room feels warm and inviting, thanks to a soft colour palette and inviting lighting. The final kitchen on this list is the cherry on top of the icing. 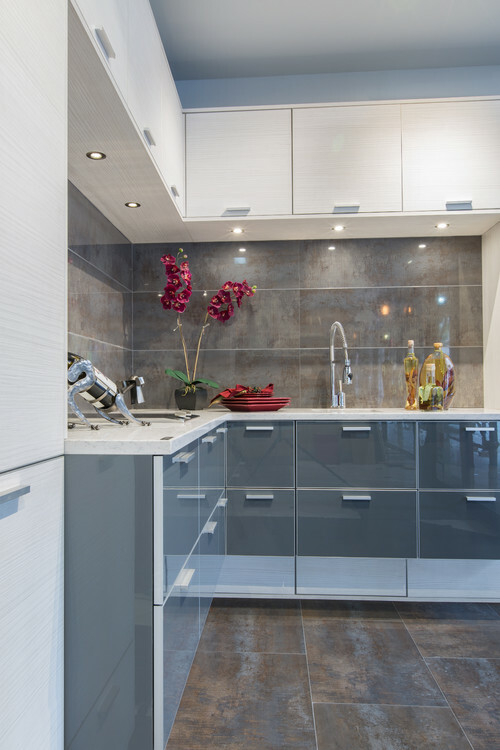 Beautiful, sleek design, practical amounts of floor and bench space, and a well thought-out colour scheme complete with nicely accented hardware make this a true kitchen masterpiece!